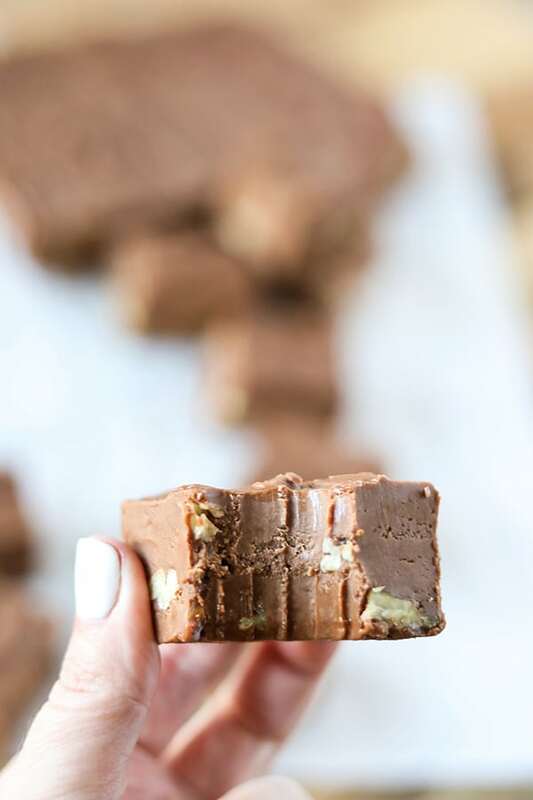 This Copycat See’s Fudge is so delicious and extremely easy to make. See’s Candies is definitely a Christmas favorite around our house and everyone loves their fudge! 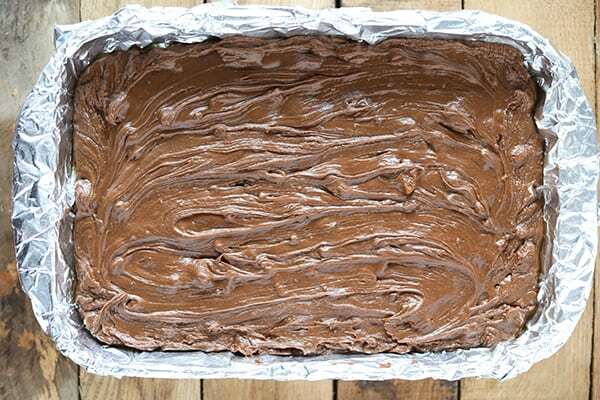 This recipe makes an entire 9×13 pan of delicious fudge, so it’s perfect for gift giving. Last week, I posted my Grandma Wanda’s Peanut Brittle recipe and it has been really popular. 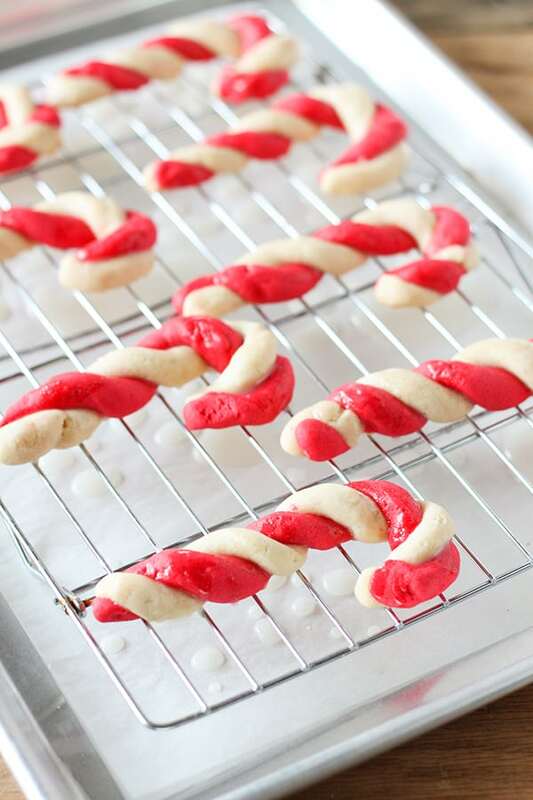 This recipe also comes straight from my Grandma Wanda’s Christmas candy collection. 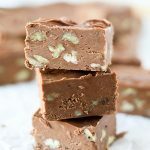 I was going to title this recipe Grandma Wanda’s Fudge, but I figured if Grandma Wanda called it See’s Fudge, then I should call it See’s Fudge too! In a large bowl, combine semi sweet chocolate chips, marshmallow cream, butter, walnuts or pecans and pure vanilla extract. 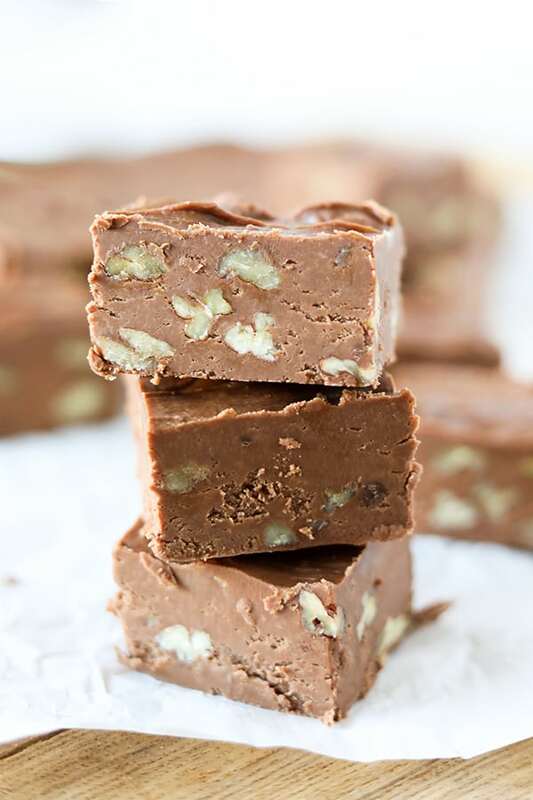 I used pecans because that’s what my family prefers, but the original See’s Candies fudge has walnuts. In a very large pot, heat sugar and evaporated milk until it boils, then continue boiling for 9 minutes. 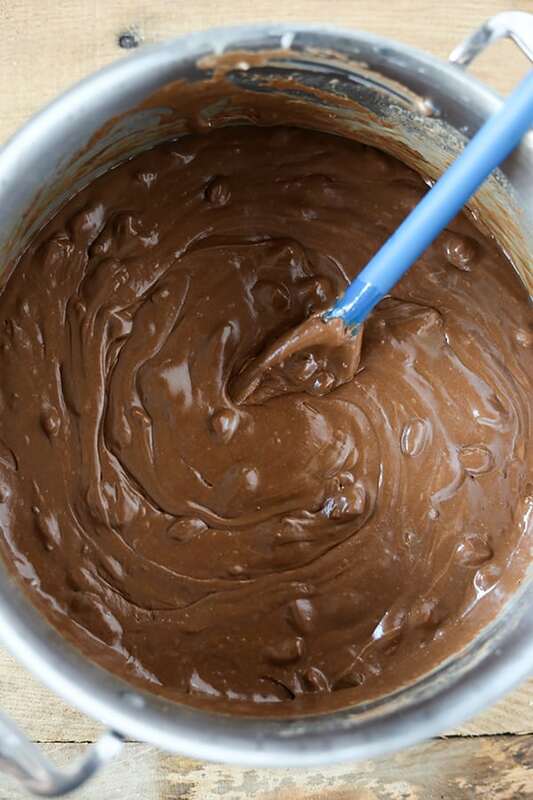 Remove from heat and stir in chocolate chip mixture and stir until completely melted. Pour in 9×13 baking dish lined with foil and sprayed with nonstick cooking spray. Let cool and slice into pieces. Prepare a 9x13 baking dish by lining with foil and spraying with non stick cooking spray. 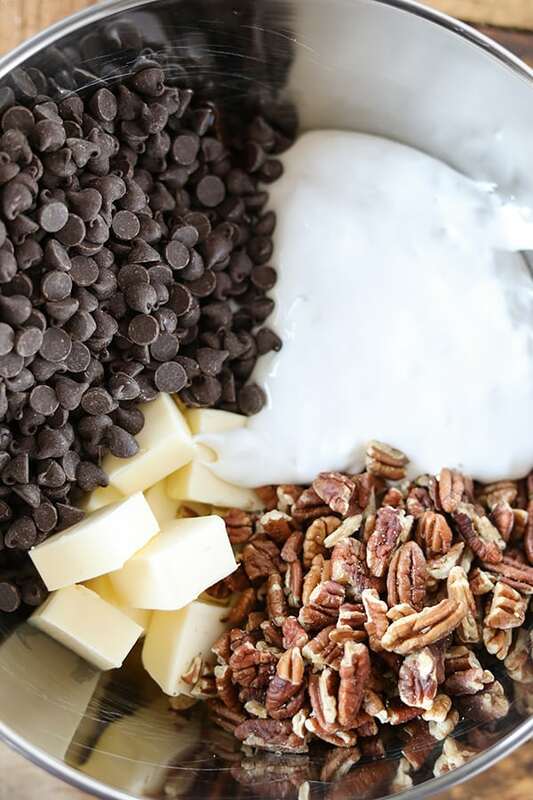 In a large mixing bowl, combine chocolate chips, butter, pecans, marshmallow creme and vanilla extract. In a large cooking pot, combine sugar and evaporated milk. Once mixture starts to boil, stirring constantly, let it boil for exactly 9 minutes. Remove from heat and stir in chocolate chip mixture. Pour mixture into 9x13 pan and let cool. Use foil to remove from pan and cut into cubes. 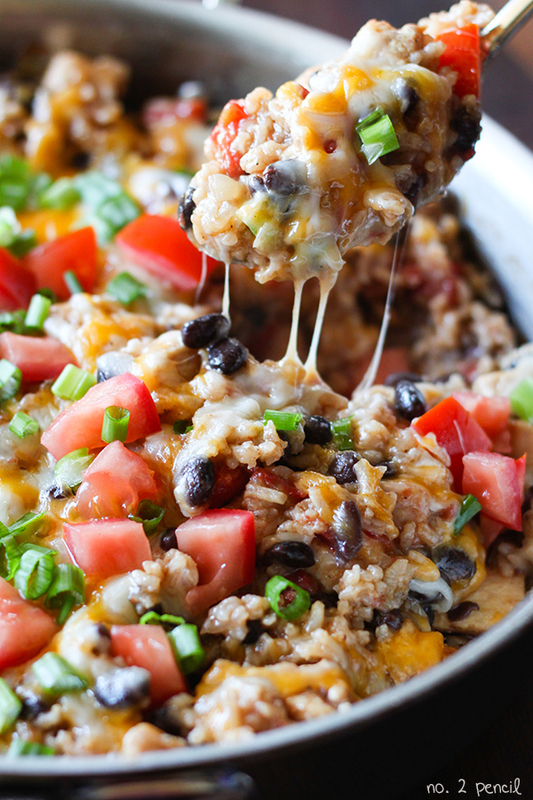 p style=”text-align: center;”>I’d love for you to keep up on my new projects and recipes. You can follow me on Facebook and Twitter. 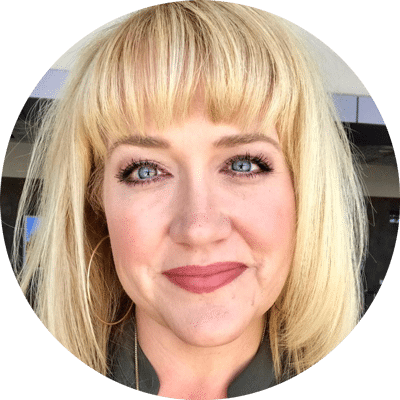 You can also find me on Pinterest, that’s my favorite place to hang out and I’d love to see you there. That’s lovely to hear, Shelley! Merry Christmas! Dose this fudge need to be kept in the fridge? I like it cold, but it can be served at room temperature. Best to keep it stored in the fridge. Oh my goodness! You just scored me major brownie points with the kids. Thanks for the great recipe Melissa. Once it reaches boiling point, do continue to “stir” for the 9 minutes? Thanks! 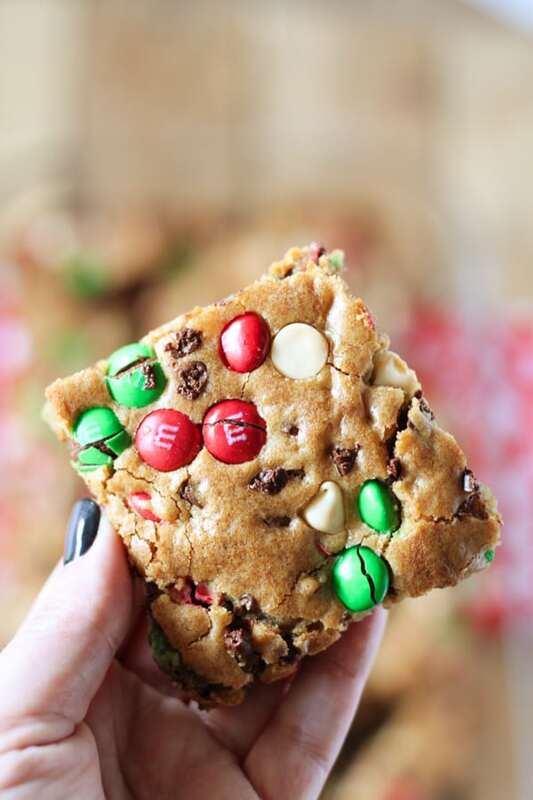 I’m curious on the amount of chocolate chips in this recipe. Others I have seen are exactly the same, but with double the amount…3-12 oz bags. Your thoughts? I noticed the same thing when I compared my Grandma’s recipe to others out there. I went ahead with her measurements when testing and have been quite happy with the results! When I was a child (very long ago lol) my mother made us this very exact recipe. The only difference is it’s boiled 13 minutes. The recipe was passed down to me and I have been making it for the last 47 years. My mother was told it was a McFarlands candy recipe. Makes me wonder which it really is. The recipe has since been passed down to my daughter and her children are now enjoying it. BEST FUDGE EVER! Helpful hint….line the dish with parchment paper and there is no need to oil the foil. Just lift it out of the tray and cut. The paper peels right off.